Call for trainers efsli Training on Demand organized by STPJM will soon take place in Warsaw. 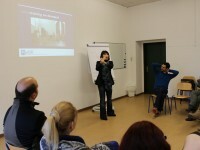 The theme of the training is Deaf and hearing interpreters – a perfect team. Please find the Call for trainers here. Deadline for submission of proposals: 15th September 2013.